Compaq Mini CQ10-500 netbook is based on Intel Atom N455 processor (1.66 GHz, 667 MHz FSB, 512 KB L2 cache). This Compaq netbook has a 10.1-inch WSVGA display with Intel GMA graphics. 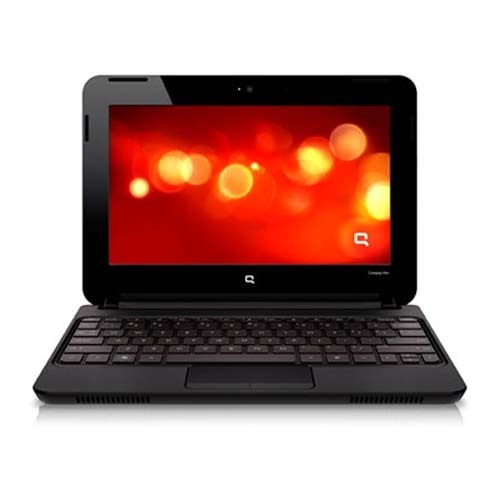 Compaq Mini CQ10-500 features two-in-one card reader for SD and MMC, HP Mini webcam with integrated digital microphone, 160 GB 5400 rpm SATA HDD, 1 GB DDR2 memory, and 3-cell Li-Ion battery.